The IAC's April luncheon will be Friday, April 28th, at the Mayflower Hotel. 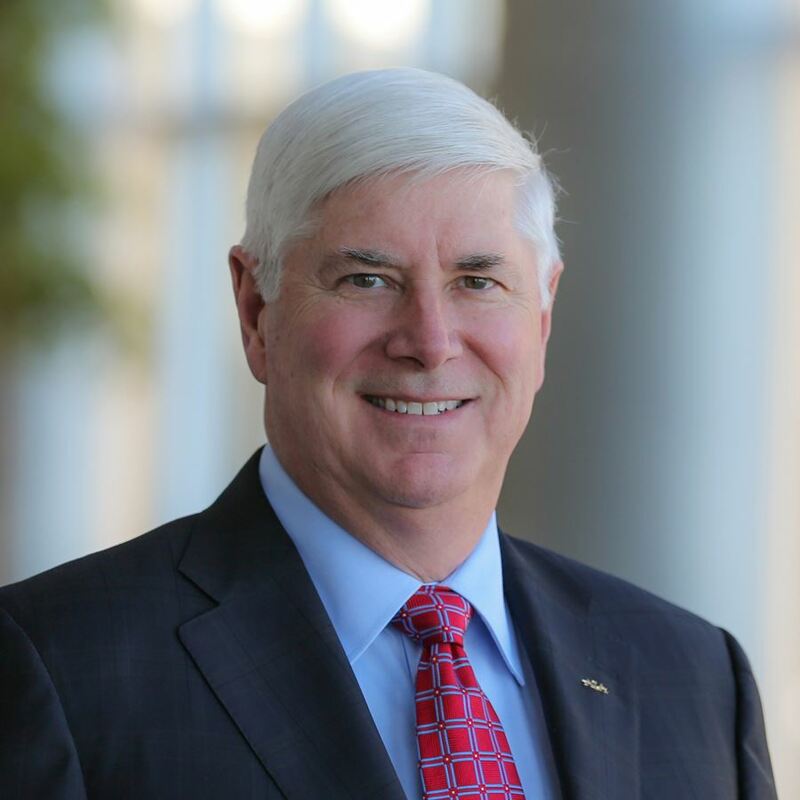 David F. Melcher is President and Chief Executive Officer of the Aerospace Industries Association (AIA), an education and advocacy organization representing over 300 companies in the Aerospace and Defense industry. As AIA President and CEO, Melcher develops the strategy for the association and works with member CEOs to advocate for the industry. He also chairs an international organization that develops standards and regulations necessary for the safety and security of air transport worldwide. In January 2016, Melcher was appointed to FAA’s NextGen Advisory Committee (NAC), providing advice on policy-level issues for the nation’s aviation modernization. Melcher joined AIA from Exelis Inc., where he served as Chief Executive Officer and President of a $5+ billion revenue company that was spun off from ITT Corporation in 2011, and ultimately merged with Harris Corporation in 2015. Prior to becoming a CEO, he was the President of ITT’s Defense and Information Solutions group, and its Vice President of Strategy and Business Development. He has extensive program management, strategy development and finance experience, and has worked closely with key leadership within the aerospace and defense industry, Department of Defense, White House, and Congress. Lieutenant General (Ret.) Melcher joined ITT Corporation in August 2008 after a successful 32 year career in the United States Army. His Army career highlights include battalion and brigade command in Infantry and Armored divisions, and high-level military leadership and staff positions. As a general officer, he served in the Pentagon as the Army’s Military Deputy for Budget, and Deputy Chief of Staff for Programs (G8). He also served as Commanding General of the Corps of Engineers – Southwestern Division in Dallas. Melcher holds a bachelor’s degree in civil engineering from the U.S. Military Academy at West Point and two masters’ degrees, one in business administration from Harvard University and another in public administration from Shippensburg University. He is a registered professional engineer in New Hampshire, and a former White House Fellow who served as the Executive Assistant for the Director, Office of Management and Budget in the White House.